With transactions happening on an ongoing basis, mortgage servicers must have data that’s both accurate and up-to-date. 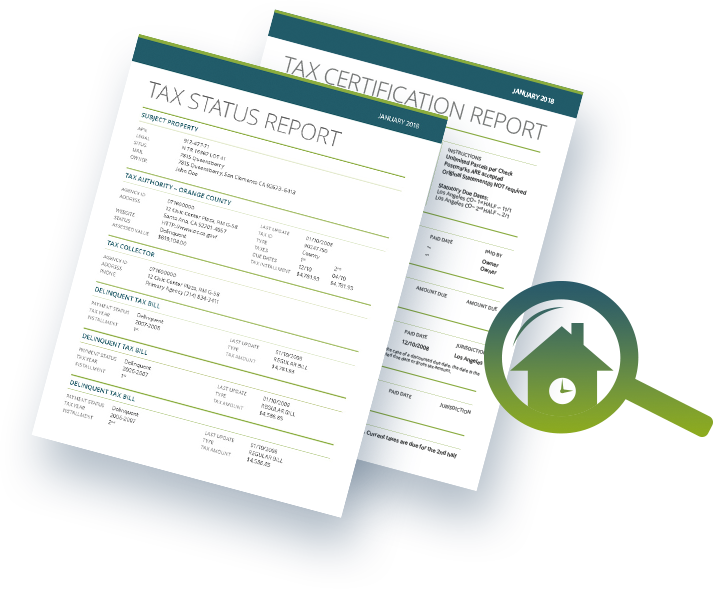 Our technology allows us to monitor and update property tax data every twelve hours. This means you can check and update your clients with new data at any time, including on-the-spot updates for when a delinquency has been cured. PACE loans add risk to the homeowner and lender. For homeowners, PACE loans make it harder to sell the property and/or qualify for refinancing. For lenders, PACE loans substantially increase risk via higher property taxes and forcing the lender out of first lien position. 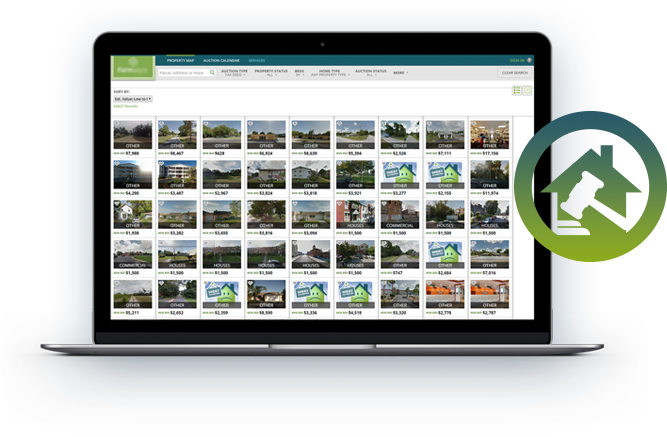 Today, we are the only in-market provider that monitors for PACE loans with our complete three-step system. 1. 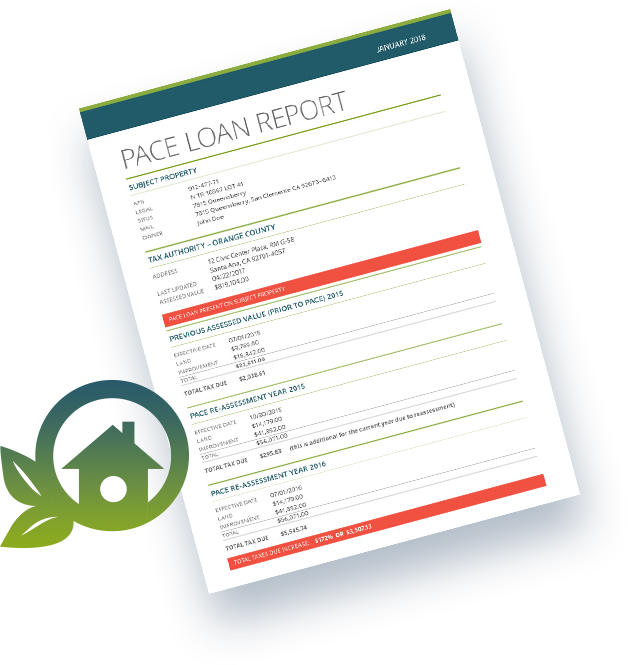 PACE Loan Report to determine properties with a PACE obligation and the impact the PACE loan has on the property’s tax assessment, tax amounts and lenders lien position. 2. PACE Loan Documentation with copies of the recorded encumbrances for each identified property. 3. PACE Pay-Off Report that provides a total pay-off amount, good-through date, and related payment instructions for identified PACE obligations. Over $150 Billion in tax default property assets are sold at county auctions each year (tax deed and tax lien). Past auction sales show acquisitions at 40 – 70% of fair market value. However, the problem is that these assets are nearly impossible to research with the information supplied by county offices. We offer an exclusive tax auction software platform to find and diligence auction property assets of all classes and assist investors in acquiring those assets. Whether you’re a county official looking to streamline your auction processes, or a developer looking for a new acquisition channel, we can help. ©2018 Real-Time Tax Reporting. All rights reserved.